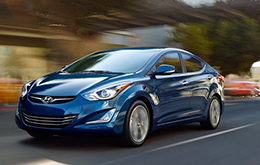 Elantra is an award-winning compact offered in sedan, hatchback (GT) and coupe body styles. This year, it receives new front- and rear-end designs, as well as several styling updates in the cabin. An all-new Sport model also debuts, offering an excellent new option for shoppers who desire a performance-focused economy car. Learn more in the continuation of our Hyundai Elantra review below. Available trim levels include: the GLS, Limited and all-new Sport sedan; the GS and SE coupe; and the singular GT hatchback. All offer several premium technological features for the price, including satellite radio, iPod/USB connections and trip computers, or navigation systems on upper trims. The new Elantra Sport sedan also comes standard with aluminum pedals, a six-speed manual transmission and a Nu GDI (gasoline direct injection) inline four-cylinder engine. Additionally, the Sport and Limited receive new LED taillights and aluminum entrance sills for 2014. 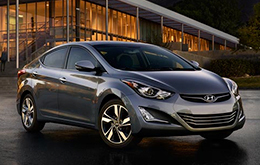 Test drive the Hyundai Elantra in Carrollton, TX and explore features and engines on all models today! With up to 38 mpg highway, more horsepower than the Corolla, more interior room than the Civic and a low price point, it's no wonder that Elantra has become one of the most popular options in the compact class. Whether you're interested in a sporty coupe, fun hatchback or stylish sedan, the lineup offers a versatile array of body styles. And added personality comes in the form of options, which there are also plenty of, including the Preferred package and Technology package. 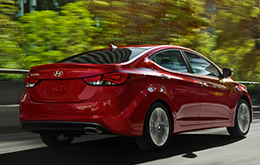 For complete details about features, options and powertrains, please come see the 2014 Hyundai Elantra at our dealership in Carrollton, where you can speak one-on-one with a sales rep. Our Elantra review continues below with a list of vehicle specs and video footage of the car. What are you waiting for? 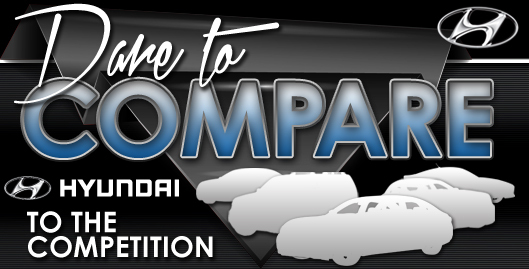 Find your Elantra now! The 2014 Toyota Corolla, Nissan Sentra, Mazda3, Chevrolet Cruze, Ford Focus and the Honda Civic are exceeded by the 2014 Elantra in a variety areas. Shoppers will be thankful for the Elantra's affordable cost, as well as its exquisite exterior design. You'll certainly see that when compared to the aforementioned vehicles it's a remarkable value in regard to price, which is why many Dallas Hyundai customers choose it. The bullet list under this text will give you even more details! Make the most out of your next Hyundai purchase. Van Hyundai offers reviews like the 2014 Elantra one above, along with reviews of previous year models, so you can research before you buy. We stand out from the rest by offering reviews offered to assist you in your vehicle search. Each summary is filled with practical data, including info about safety technologies and more - everything you need to make an smart purchasing decision. Now that you've learned all about the 2014 Elantra, we'd love to talk; fill out the form on the right to message us today to learn about finance offers and schedule a test drive!